Gayle Pitman is the author of numerous LGBTQ* children’s picture books. 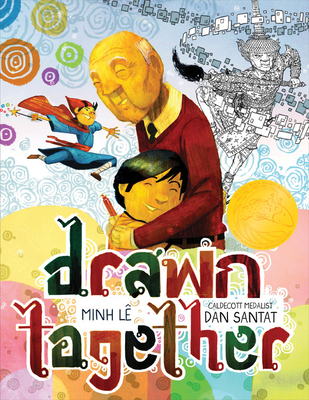 Published in 2014, This Day in June, is not her newest release, but it is worth reviewing as it captures a beautifully inclusive vision of a Pride Parade sure to delight young readers. This text can easily be read with toddlers, who will enjoy the multiple representations of fabulous queerness colorfully illustrated by Kristyna Litten. 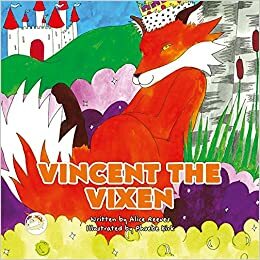 Written by Alice Reeves and illustrated by Phoebe Kirk, Vincent the Vixen is a children’s picture book full of welcome surprises. 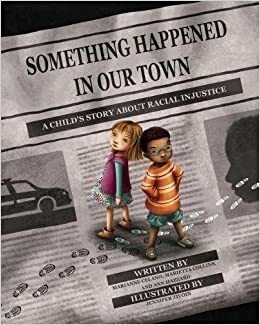 The story, about a transgender girl-fox, encourages conversations about acceptance, self-awareness, and gender identity. It begins with several foxes playing together. The foxes, identified as siblings, are seen without any identifying gender markers, such as clothes. They’re shown playing hide-and-seek, swimming, and annoying a grumpy cat. None of these activities are particularly gendered, so at the text’s opening gender is inserted as a non-issue. This changes when the fox cubs go to Betty the Badger’s house. 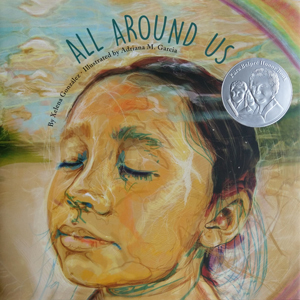 All Around Us, written by Xelena Gonzalez and illustrated by Adriana M. Garcia, is a meditation. Garcia’s images are digitally generated and seem to straddle the line between spiritual and material, curving into a circle under the weight of Gonzalez’s poetic prose. This is fitting since the text explores time as neither linear nor marked by the progression of an individual, but instead cyclical and communal. 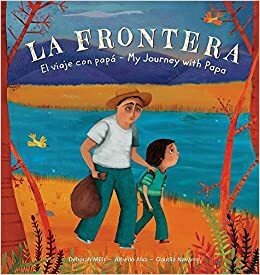 La Frontera: My Journey with Papa (2018) is a much-needed bilingual children’s book that thoughtfully explores one family’s experience of immigration to the United States. Deborah Mills and Alfredo Alva co-authored the text, which is based on Alva’s experience arriving in the United States with his father over thirty-years ago. Mexican illustrator Claudia Navarro’s beautifully detailed images help communicate the emotional significance of the story by carefully capturing expressions and gestures of characters. Importantly, La Frontera does not just make us feel; it also makes us think about immigration contextually by subtly introducing political and economic explanations for the actions and experiences of the characters.